Contrary to previous reports, leaders from the Regnum Christi Movement stressed that the visitation to be conducted by Church officials will focus on the 900 or so consecrated members and not on the group’s 70,000 lay people. Although Regnum Christi leaders in the U.S. emphasized that consecrated members will be the primary focus of the visitation, a spokesman in Rome clarified to CNA that lay people will not be excluded from the visitation and are free to contact Church officials during the process. Last month, Archbishop Velasio De Paolis, Pontifical Delegate to the Congregation of the Legionaries of Christ, announced the names of the four counselors who will assist him in reorganizing the beleaguered religious order. He also announced that the apostolic visitor to Regnum Christi, the lay movement associated with the Legion, will be Archbishop Ricardo Blazquez of Valladolid, Spain. The main task of the counselors will be to help Archbishop De Paolis revise the constitutions of the Legion. Contrary to recent news accounts, Regnum Christi leaders said that the visitation of the group will not encompass all of the laity involved, but consecrated members only. “In other words, the visitation will focus on the 900 or so consecrated members, not the 70,000 members of the laity,” the leaders added. 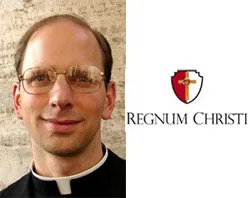 “The Regnum Christi Movement is a treasure that is indivisibly connected to the Legion, which should feel responsible for it and continue offering it its help,” the archbishop noted. “Archbishop Blázquez and Archbishop De Paolis are working out the concrete details according to the instructions given by the Holy See and then they will inform us and those to be visited,” he said.